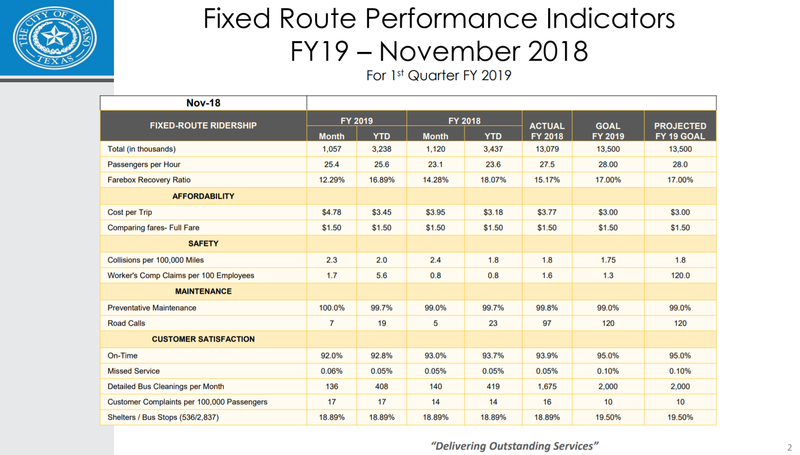 Ridership fell another 5.6% from last year’s lows. Yet they stubbornly continue to show a goal of more riders this year than last. If somehow they reached their goal they would still be 19% below where they were back in 2012. Their cost per trip for the quarter went up 21% from the same period last year. Isn’t it time that we rethink how our bus system operates? This entry was posted on Friday, February 8th, 2019 at 5:00 AM and is filed under City government. You can follow any responses to this entry through the RSS 2.0 feed. You can leave a response, or trackback from your own site. Brutus, thanks for keeping an eye on Sun Metro something our local media overlooks. It’s time to double down. More expensive, redundant archaic transportation is the answer. I’m thinking Clydesdales. The management contract for Sun Metro and the Lift is out for bid. The contracts were probably written up so as to attract a minimal amount of bidders. If you look into the bid you can see how the present contractors have needed to address difficencies for federal reports. The selection committee and City purchasing will no doubt overlook all of the present negative issues and keep rewarding failure with multimillion multiple year contracts. A driver informed me Sun Metro did away with a super productive Route 18 in order to push riders to a failing Brio. Yes, we deserve better but will we get it? And why are we now running empty street cars too?!?!? Maybe it’s time to ask who is making money from all this? Much of Latin America employs colectivos. These are little sedans, like Corolla four doors, that drive fixed routes. They wait at a designated point until they fill up with three or four people, and then the drive to their destination with the necessary stops along the way. So instead of having a 40-person bus with one or two or no passengers driving a fixed schedule, these little “taxis” make the trip when they’re full. But it would never work here. Makes too much sense.